A Project completed by Advanced Racking in Texas. It's disappointing to see such a leader in the US solar industry file for bankruptcy but, that is exactly what is happening at Schletter. The solar industry has been riding a rollercoaster lately with the Trump tariffs and not knowing the outcomes or hardships the tariffs may bring but, one thing is for sure, solar energy and renewables are not dying, they are here to stay. Solar modules and PV racking systems are more affordable than ever with the evolution and advancement in technology over recent years, and it is only going to keep getting better and more efficient. 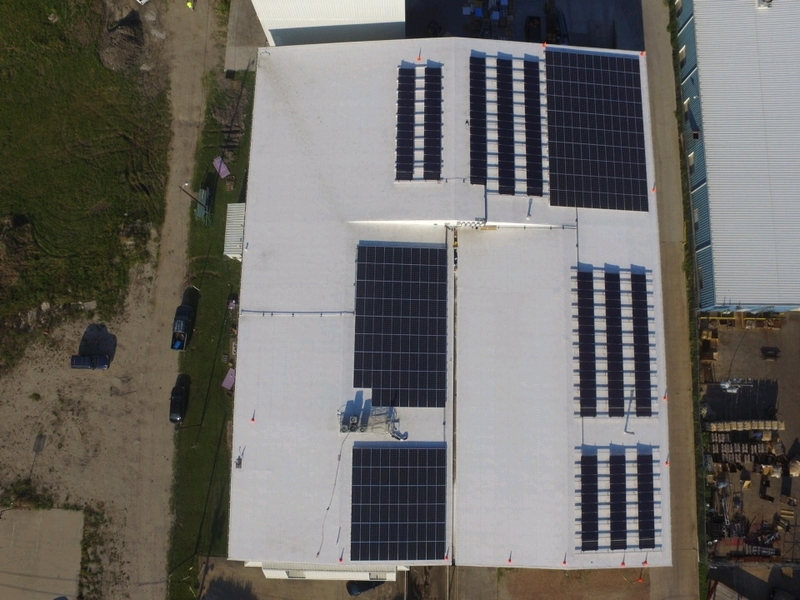 Improvements in solar technology and manufacturing brings change to the industry and here at Advanced Racking, we are contributing to the positive change. We have created a Total Roof Platform Design Tool that allows users to design their own roof top layouts and generate a bill of materials for flush mount and tilt systems for metal roofs, ballasted roofs, and shingle roof applications, all for FREE. We've built this in order to make your next solar project more streamlined and as easy as possible. If you have any questions for any of your upcoming solar mounting/PV racking projects, no matter the mounting type including carports and groundmount, feel free to utilize our knowledge experts and ask questions at info@advancedracking.com. Go ahead and sign up for our free TRP Design Tool today to get started on your next solar project. Want to read more about Schletter filing for chapter 11? Check out the news story from SolarPowerWorldOnline.com HERE.